Every year, over 11 million people attend summer camp in the United States. For hundreds of years, summer camp has been the highlight of every kid’s summer. From running around outside all day, to hanging out and making new friends, many of our campers say that they look forward to going to summer camp near Georgia all year long. At Camp Timberlake, we strive to give campers the best summer camp experience possible while helping them learn and grow. Summer camp offers many benefits and we decided to share just a few of them with you! Surroundings- At summer camp, your son will be in a safe and comfortable environment where he can feel free to be himself. Our summer camp staff strives to create an atmosphere where campers can have fun and try new things without the fear of failure or judgment. Memories & Friends- Parents, did you attend summer camp? If so, do you remember all of the fun times that you had and all of the new friends you made? Children will participate in a variety of summer camp activities with children who have similar interests and goals, often resulting in new friendships. Many of our campers say that they met their best friends at summer camp and remain in contact throughout the rest of the year! Grow Up- The summer camp experience gives campers a chance to learn more about themselves and become more confident and independent. A typical day at summer camp is filled with fun and learning. Campers will learn both cooperation and healthy competition with the freedom to fail without being judged. 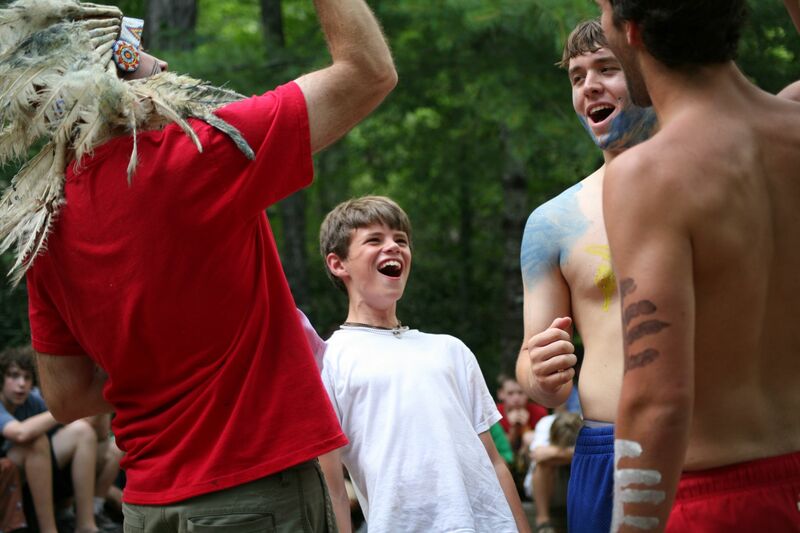 Outdoors- Located in the mountains of western North Carolina, Camp Timberlake gives boys the perfect opportunity to disconnect from technology and reconnect with the beautiful outdoors. Our summer camp facilities allow campers to hike, explore, and relax outside. Activities- At summer camp, it is guaranteed that children will be constantly active and learning new skills. Our summer camp activities range from mountain biking to learning the guitar and everything else in between. Campers will learn new skills that they can take home with them once they leave at the end of the summer. Ready to send your son to the best summer camp near Georgia?! Contact Camp Timberlake at 828-669-8766 for more information or to schedule a tour today!